Not only in summer, but also during the cold season Rodengo is a popular holiday destination. The neighboring Gitschberg–Jochtal, Plan de Corones and Plose ski areas ensure great fun on well-groomed slopes. 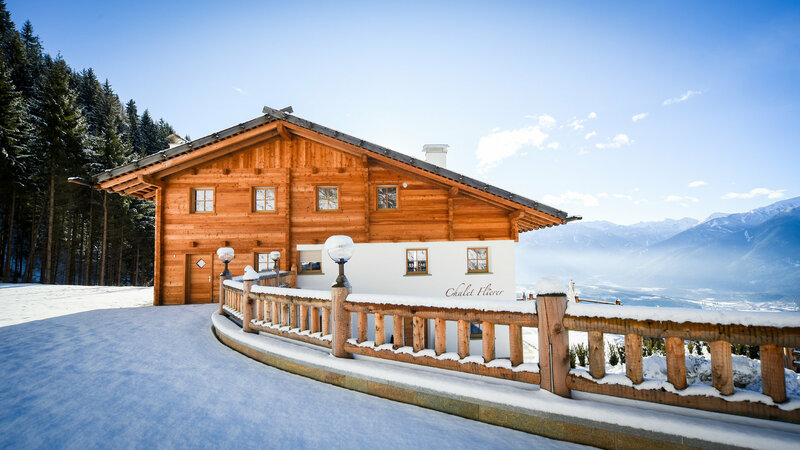 A total of 51 km of ski slopes and 16 lift facilities, including a cabin with glass floor, are waiting for you. If the weather is fine, from the top of the Gitschberg you can enjoy a great view on more than 500 mountain peaks. A snow park, two certified ski schools and three children parks with full-day child care complete the offer of the Gitschberg-Jochtal skiing area. 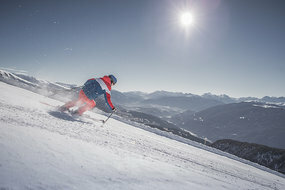 The world’s largest ski resort portal Skiresort.de awarded the ski area the winner of the insider tip: Leading ski resort up to 60 km of slopes category. 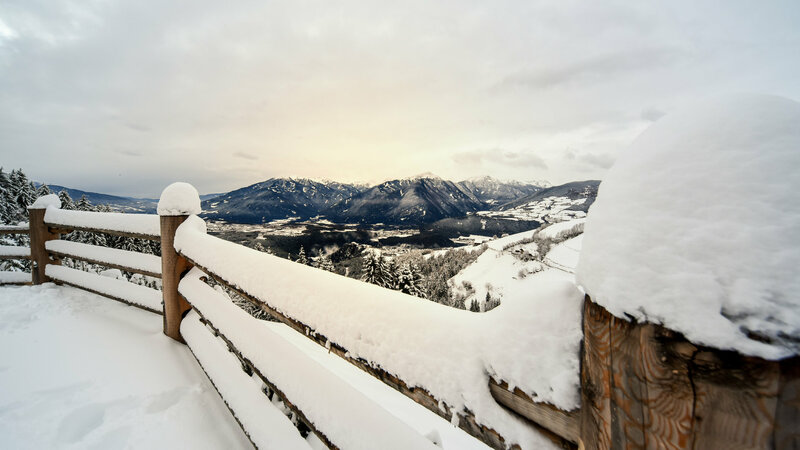 The ski area Plose offer more than 40 km ski runs of all levels, RudiRun, with its 9 km one of the longest toboggan runs in South Tyrol –Snowshoe Trails – Winter Hikes and the Trametsch, the longest valley slope in South Tyrol with 9 km length and 1.400 meters in altitude. Plan de Corones is the South Tyrolean mountain renowned for excellence when it comes to skiing and is considered one of the most modern ski areas in Europe. It welcomes guests with 31 lifts, gondola cable cars with free Wi-Fi, and a total of 116 km of slopes. The idyllic winter scenery and a wonderful panorama invite you to set out to extensive winter hiking tours. 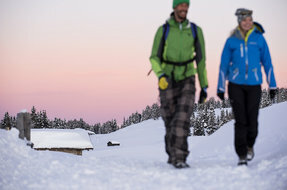 Whether on wonderful winter walks along groomed trails or challenging, but unique snow-shoe hiking tours – it is all about consciously experiencing the peace of the soothing mountains. Start your walk without any equipment on one of the marked hiking trails yourself or borrow snow-shoes. 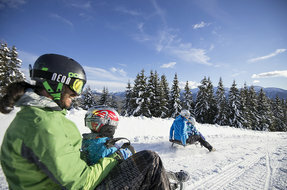 From the Alps of Rodengo and Luson there are several natural toboggan runs which take you downhill into the valley – no professional skills are required since the runs are quite easy. Another toboggan run starts on the "Gitschberg" (Maranza) and it offers 6 km pure fun.